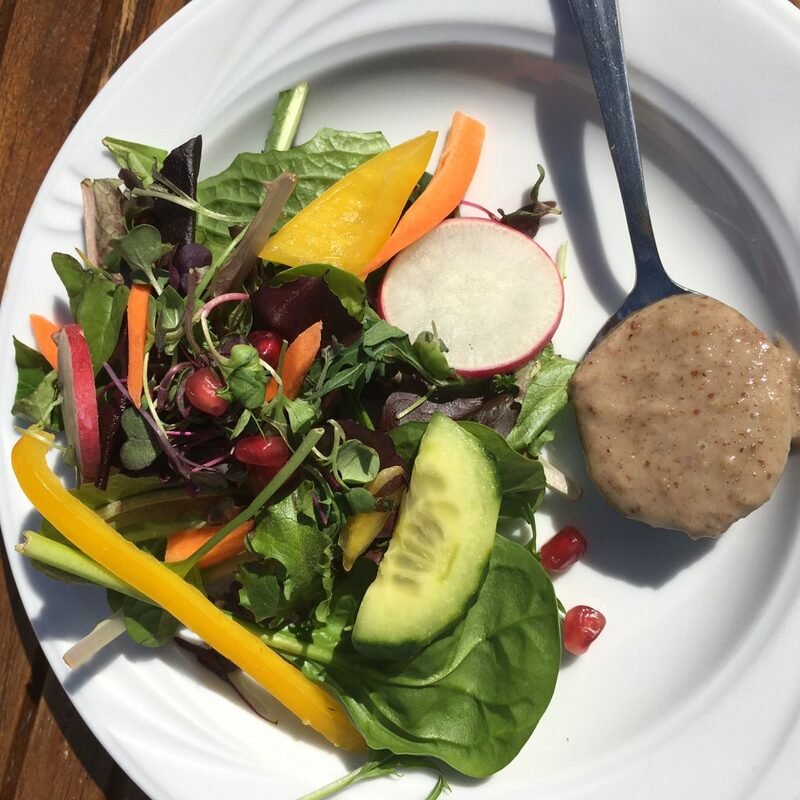 This maple pecan dressing is inspired by the one chef Steve Rich serves at the Park City Ski Resort Yurt. This recipe has reduced sugars and added shallot. It makes a very thick, creamy dressing, and can double as a dip. This recipe makes a big batch–enough to store in the fridge and use over several days. I use this dressing in my Summer Quinoa Salad. I’ve also mixed this in with tuna instead of mayonnaise. It creates a unique tangy flavor. 1. Toast pecans in a little olive oil in stove pan over medium heat 2. Put all remaining ingredients in professional strength blender while nuts are toasting. 3. Add pecans and blend. 4. Stir or massage into salad of choice, or drizzle on top.